Mary Hufford's Dundes Lecture on sensory memory in vernacular forests with more-than-human entanglements, as told through conversations in West Virginia's Big Coal River Valley. 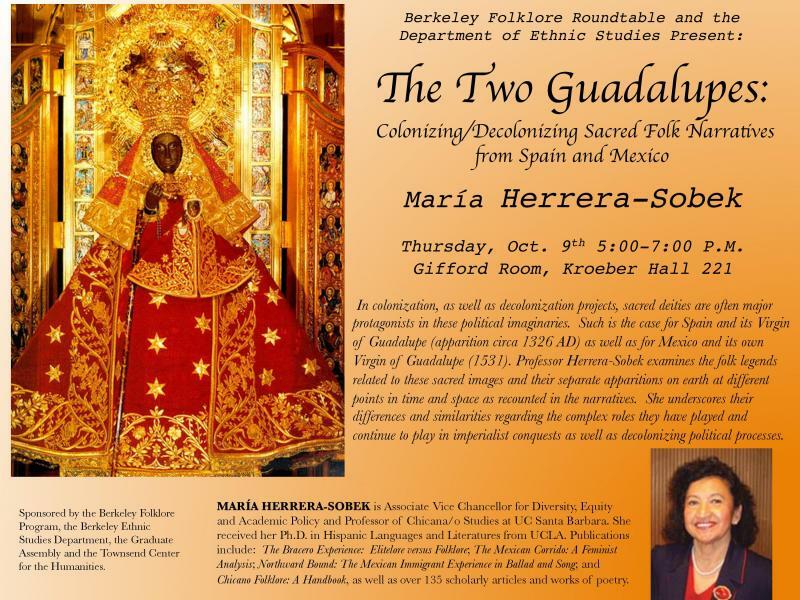 How do Mexican migrant “voices” desire recognition and connection through performance? Lyrical greetings draw poetic lines of desire between San Luis Potosí and Tennessee, disturbing legal and nationalist logics on both sides of the U.S.-Mexico border. The lecture explores how expressive musical negotiations participate in place-making and leverage “sound” as an aesthetic and communicative resource to negotiate the social structures they critically engage. Free and open to the public. 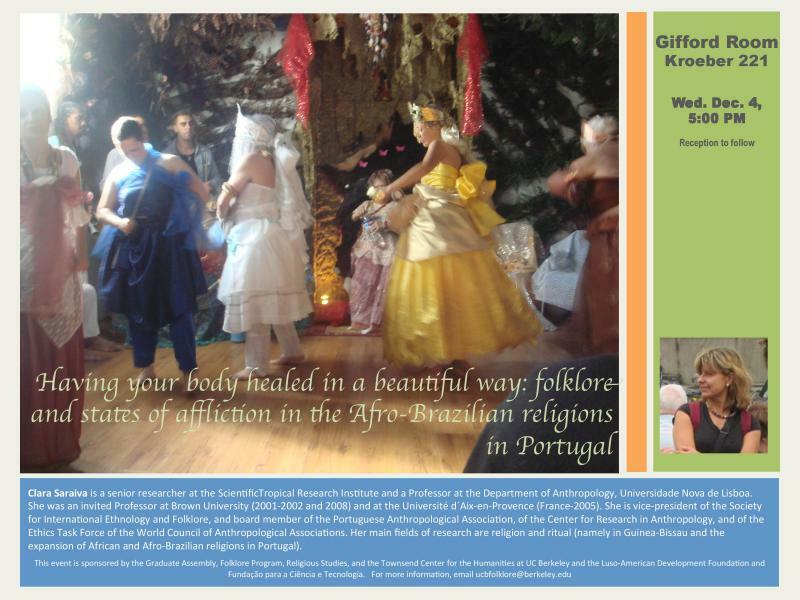 This Berkeley Folklore Roundtable talk explores the yearly reenactment of the Canboulay Riots of 1881 as well as a recent carnival band inspired by the colonial paintings of a celebrated Trinidadian artist of the early 19th century, Michel-Jean Cazabon. Philip Scher (Dean of Social Sciences, U. of Oregon) compares these examples as a meditation on the role of public historical narratives and contested memory in the ongoing construction of national identity in Trinidad. 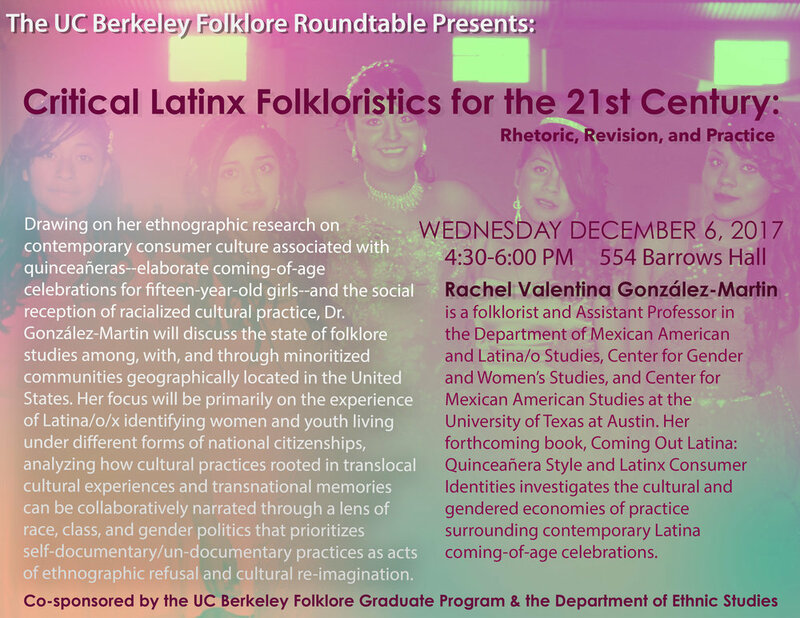 Drawing on her ethnographic research on contemporary consumer culture associated with quinceañeras--elaborate coming-of-age celebrations for fifteen-year-old girls--and the social reception of racialized cultural practice, Dr. Rachel Valentina González-Martin (UT Austin) will discuss the state of folklore studies among, with, and through minoritized communities geographically located in the United States. Her focus will be primarily on the experience of Latina/o/x identifying women and youth living under different forms of national citizenships, analyzing how cultural practices rooted in translocal cultural experiences and transnational memories can be collaboratively narrated through a lens of race, class, and gender politics that prioritizes self-documentary/un-documentary practices as acts of ethnographic refusal and cultural re-imagination. 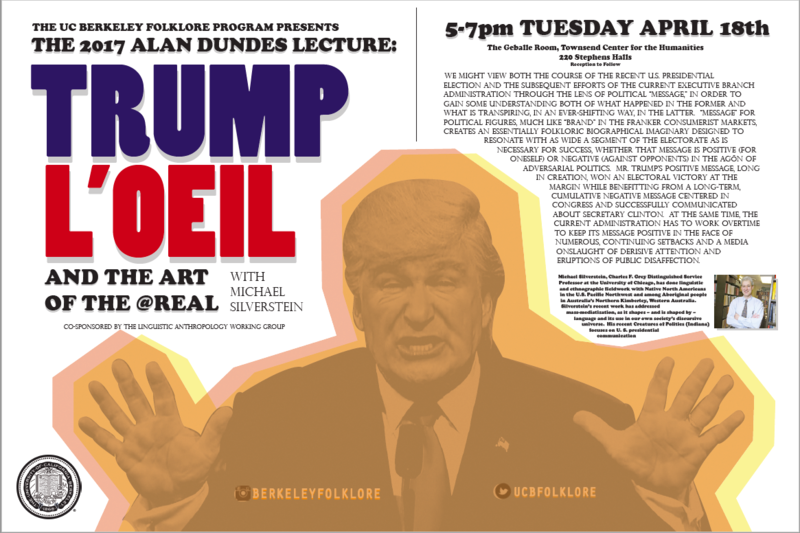 Michael Silverstein, Charles F. Greg Distinguished Service Professor at the University of Chicago, presents "Trump l'Oeil and the Art of the @Real." 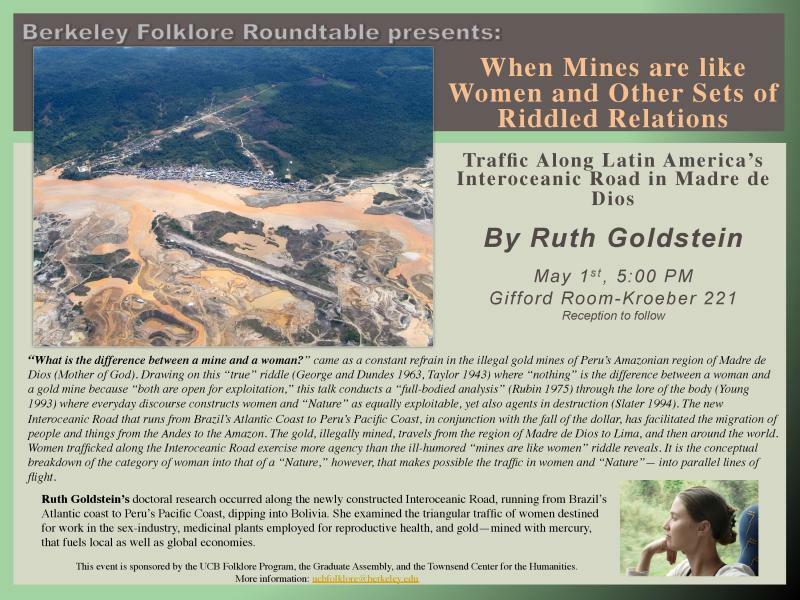 The talk will take place in the Geballe Room of the Townsend Center for the Humanities (220 Stephens Hall), with reception to follow. 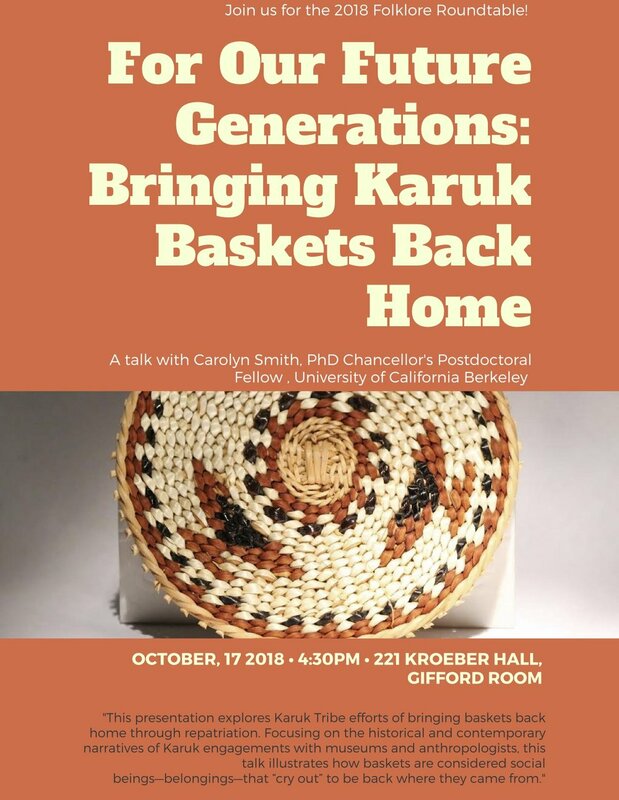 Please join us for this fabulous annual event sponsored and organized by UC Berkeley's Native American Recruitment and Retention Center (NARRC) and The UC Berkeley Powwow Committee. All events take place on campus, on the West Crescent Lawn. The Gourd Dance begins at 11 am, with the Grand Entry to follow at 12 pm. For more information, please click here to visit the Facebook page! Please include start and end times, as well as full date (MM/DD/YY). Include, where applicable, a list of sponsors or sponsoring departments and organizations. Include full street address, building name, and room number (where applicable). Please also indicate whether the event takes place on or off UC Berkeley campus.